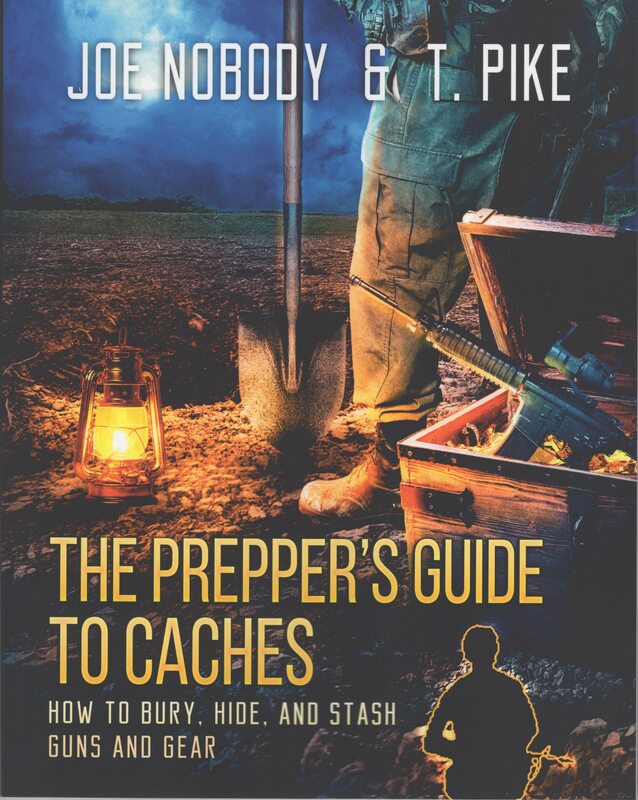 There are a variety of circumstances where creating a cache is a wise preparation. Natural and man-made disasters abound in our headlines, many of which can completely destroy valuable preps in a matter of seconds. With proper techniques, equipment, and methods, practically any type of critical supplies can be safely stored in a manner that is nearly impervious to the elements. The largest single threat to any cache, however, is being discovered by other people. This guide will provide the reader with several methods, including disguise, diversion, and technology to defeat even the most sophisticated metal detectors, theft, or illegal seizure. Widely acclaimed author Joe Nobody, known for his fictional works as well as highly regarded survival and preparation guides, is joined by T. Pike, USMC. During his two deployments in Afghanistan, Pike’s job with the Marines included searching for enemy caches. He found a lot of them, denying his foe important weapons, ammunition, and supplies. He also developed a unique level of expertise and experience that can now be leveraged by anyone who wishes to keep their personal assets out of harm’s way.